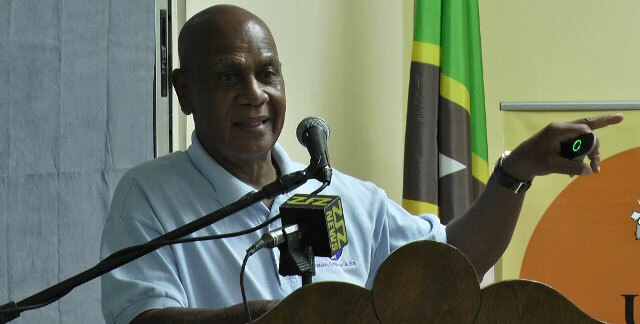 Basseterre, St. Kitts, July 14, 2016 (SKNIS): Dr. Winston Isaac, a Kittitian and co-founder of the Walnut Foundation of Ontario, Canada, advised the men of St. Kitts and Nevis that if they have a prostate problem they should not assume that it is cancer, thus putting themselves under unnecessary stress. Rather, they should get peace of mind by visiting their doctor. Dr. Isaac presented a lecture at the University of the West Indies Open Campus yesterday (July 13), as a collaborative effort between the Open Campus, the Rotary Club of St. Kitts and the Walnut Foundation. It was also a precursor to free prostate screenings offered by the Rotary Club. The lecturer informed the audience, which consisted of both males and females, that the prostate of a 21 year old man will be the size of a walnut but it will be larger in an older man. The men in attendance were assured that the changes are not necessarily cancerous and those affected may be placed on medication, or in extreme cases, may require surgery for full or partial prostate removal. Men were further informed that because the prostate is part of the reproductive system, they may have a concern that they will not be able to have children after a procedure. However, Dr. Isaac assured that, in most cases, due to the age at which prostate issues occur, the males should be thinking of having grandchildren rather than children. Since the prostate is also part of the urinary system, there may also be issues with incontinence, which is the inability of the body to control discharges of urine or faeces, but in this instance urine. Dr. Isaac comforted them that, should the prostate issues be caused by cancer, early detection is key. In 2013, Dr. Isaac received the St. Kitts and Nevis’ 30th Anniversary of Independence Health Services Award. He is an Associate Professor in the School of Health Services Management at Ryerson University, Toronto, Canada.